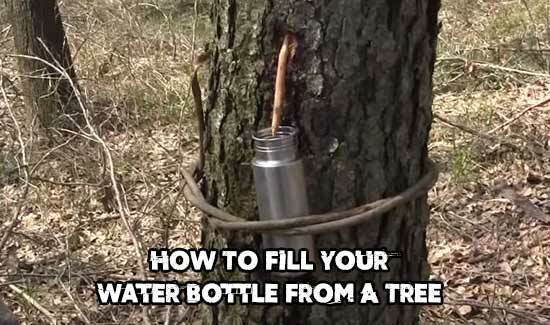 The video below will demonstrate how you can fill your water bottle from a tree for drinking clean water in the wilderness. I can’t stress this highly enough but please only do this in an emergency situation. If you do this wrong or take too much water you could kill the tree, and that isn’t cool in my books. All you need is something sharp, like a knife, axe, or stone to cut a V notch and a small branch to put into the tree. The water will then run down the branch and into your cup / bottle. See how to do it below.